Few herbs are as nutrient-rich as Alfalfa (Medicago sativa) which contains Vitamins A, B6, B12, C, D, E, and K, as well as the minerals calcium, iron, magnesium, zinc, phosphorus, and potassium. 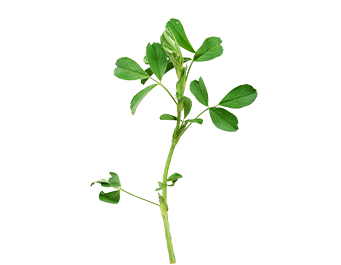 Rich in chlorophyll and protein, over 300 nutrients and phytonutrients have been identified within Alfalfa. In China, over the last few thousand years, Alfalfa has been used to cleanse and support the digestive system. It provides certain enzymes that help make digestion more efficient.